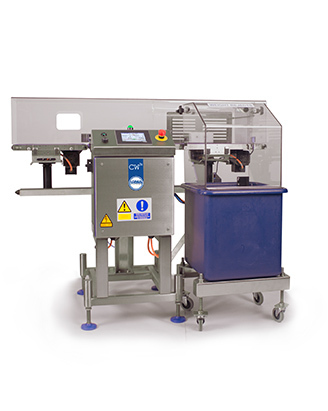 Designed to be integrated into the production process to ensure product weight meets legislation, the CW3s compact and simplified design is perfect for packaged and wrapped products under 3 kg. This is a fixed sized three conveyor system consisting of a 400mm infeed, 400mm PWT, 600mm outfeed with a belt width of 300mm. The system comes complete with a free-standing wheeled reject bin with cover and includes reject confirmation and bin full sensors.